ST is excited to learn that Brown University’s Padture group has demonstrated stable perovskite material patented by ST. See their paper in the link (https://www.nature.com/articles/s41467-018-07951-y) and the ST patent [link — see attached] with the same material system. Solar-Tectic LLC (“ST”) is very pleased to announce that it has formed an agreement with boutique investment bank Joseph Gunnar & Co.,, LLC whereby the bank will serve as ST’s exclusive Strategic Advisor and Private Placement Agent. Moving forward all investment inquiries can be directed to the investment bank, attention Mr. Randy Rock (rrock@jgunnar.com). Solar-Tectic is very pleased to learn that it was featured in an article which appeared in Power Electronics Technology magazine today. 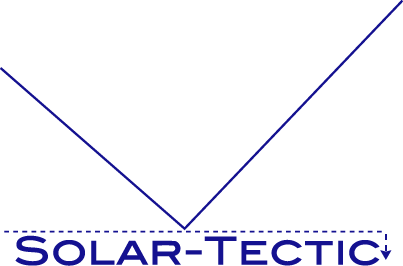 Solar-Tectic is pleased to announce this press release regarding newly granted perovskite patents. The press release can be viewed at PRNewswire.com.